This is a Light Gray Mopar Rallye cap for 5x4 1/2 bolt pattern wheels. 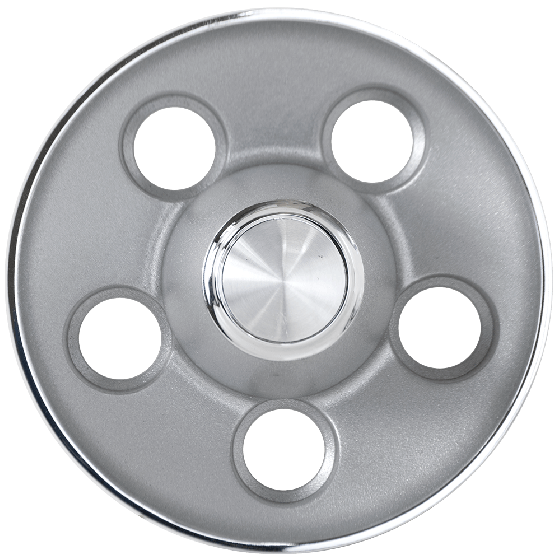 This light gray painted Mopar center cap is correct on several models from Chrysler, Plymouth and Dodge. 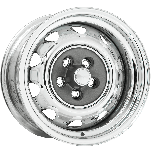 These car hubcaps fit our Mopar Rallye wheel with matching bolt pattern only. 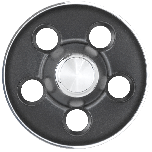 This Light gray Mopar Rallye center cap with 5 x 4 1/2 bolt pattern fits many 1968-74 Mopar vehicles. 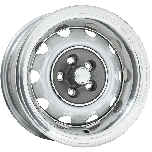 Please note: both light and dark gray center caps available in the large and small Mopar bolt patterns. Please check your actual wheels required cap fitment size.